Mmm, mmm, these were good. Really good. I’ve actually never attempted to make turkey burgers at home before. We are all about slapping a few beef burgers on the grill often through the summer but I really wanted to give turkey burgers a try. These burgers were beyond flavorful and oh so tender and juicy. My husband actually loved them, too, which is quite a feat since he is a classic red meat kind of a guy. The recipe comes from Emeril’s new cookbook, Emeril at the Grill. It has some incredibly fantastic and delicious-looking recipes and I can’t wait to try a few others (like the BBQ Ribs and the Grilled Banana Splits – seriously!). The original recipe for these is actually for turkey sliders but I altered the recipe a bit to fit my family’s numbers and tastes. Served with avocado and tomato – these were delicious! Next Post » Bug and Butterfly Cupcakes – SO Easy! We’ve been making batches of these on Sunday nights to use in sandwiches for the week instead of store-bought lunchmeat. This is a much tastier and less expensive alternative! 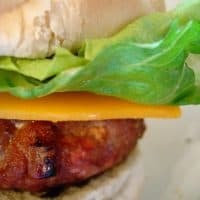 I’ve found this recipe gives us much moister patties than other turkey burger recipes I’ve tried. No need to drench them in ketchup or BBQ sauce. It was great to have another version of turkey burgers to make, as I had never included these seasonings in my burgers before. Next time I will add salt! Also – I had always added bread crumbs to my turkey burgers because I just assumed they needed it. Now that I’ve tried yours, I realize they don’t! Tonight we had these southwestern burgers as well as your “perfect” turkey burgers. It was a good opportunity to test out the difference in using egg or not. I think the end texture was the same, but the version without the egg was easier to handle before they were cooked. I want to put these on my menu for this week, but we’re apartment dwellers, so no grill. Do you think they’d be okay in the skillet? We made these last night – so yummy! The turkey was so moist and tender. And the avocado made it even tastier. Thank you! Looks like a great burger! 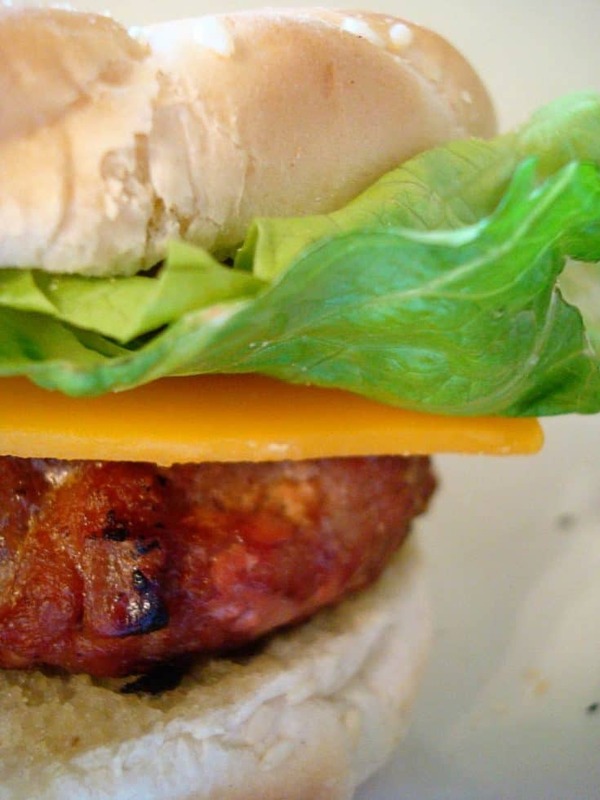 I’ve never made turkey burgers either, but should since they have to be a bit healthier! Vanilla and Thyme – that is extremely interesting about the ice water trick. I wonder what that does – maybe helps the burgers retain their shape? Did you try it? Let me know. Just found your site and already have looked at several recipes I want to try. I too have many tried and true, but am always having fun trying some new ones. Hillary and Jonathon – I definitely think these would be fine in the skillet! Oooh, these look good, I’m always surprised at how much I enjoy ground turkey too. It’s such a great meat to cook with. I’ll have to give these a try. I love turkey burgers but haven’t gotten my husband onboard yet. I’m so glad you posted this recipe. My husband and I have made a “lifestyle” change in our diet and I always use ground Turkey instead of ground beef (I prefer the texture of Turkey). But my husband is a total beef burger man. As soon as I started cooking with it he was amazed how good it tastes, and so juicy! I use it for anything that calls for ground beef and it always turns out amazing, sometimes even better. But we especially love Turkey Burgers! Thanks for the recipe. I have some turkey burger in the freezer that is calling out to be made into these burgers! I love turkey burgers, but my husband is a beef man. Allison – so glad you liked these! And I agree, the avocado makes them divine. Thanks for checking in! Margaret, thanks for the turkey recipe. It looks fantastic! “southerwestern” is a word that makes me automatically interested in a given recipe. this one definitely sounds like a winner–good for emeril, and good for you! I just bought everything to make turkey burgers tonight on the grill, and am definitely motivated after reading your post. Emeril was on Good Morning American today, and he put his turkey sliders into ice water (raw) before grilling. Don’t know about this one, but I’m willing to give it a try- I love your pictures and recipes!